The DMB Volumetric Measurer is used to extract hourly constant volumes of grain from cereal silos.By placing several measurers under different silos it is possible to achieve quite precise mixtures. The DMB measuring machine works by filling different size cells, which are unloaded when the rotation cycle finishes. By opening or closing the cells 1% each time, it is possible to adjust the flow from 1% up to 100 % of its capacity. Due to the fact that volume´s cell is fixed, its precision can be guaranteed. And, because of that, our flow measurer stands out among others in which the dosed volume is adjusted by varying the cells width with staring wheels. 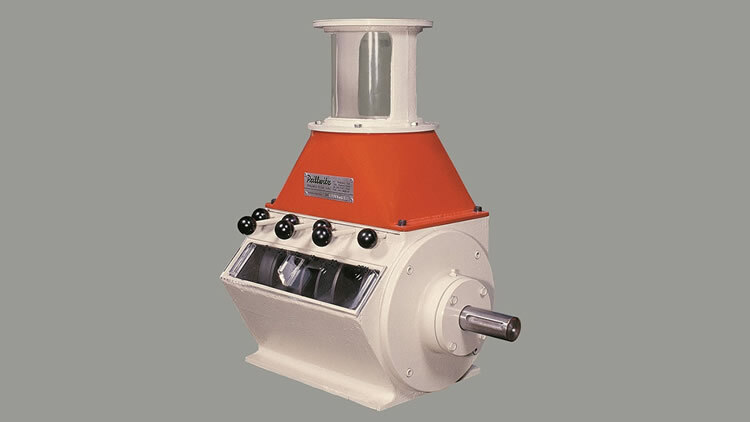 The measuring machine is normally made of cast iron, however it can also be made of stainless steel or other materials.